Classes will be held Tuesdays starting October 15 – Tuesday December 3, 10:00 AM – 12:30 PM. I am very excited about offering this new course to home school families. Duration: 8 weeks starting after the field trip to Fort Langley. 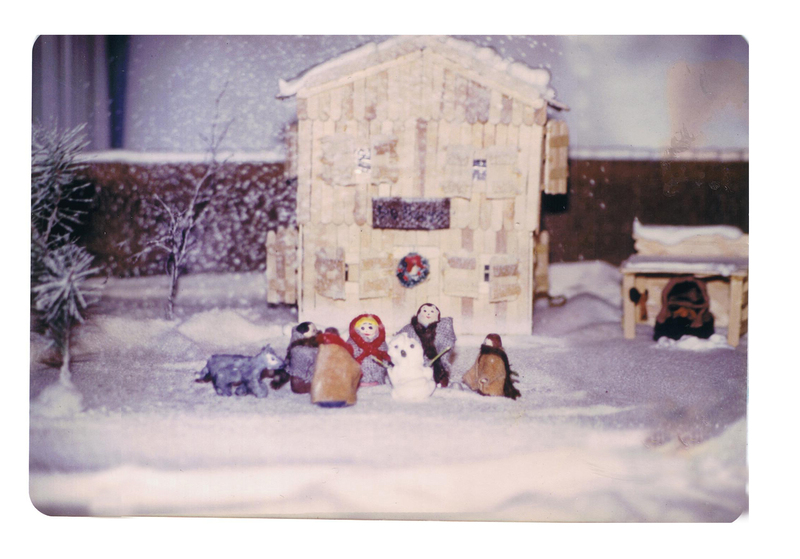 Popsicle stick version of Fort Langley’s Big House and outdoor oven, along with dough characters – done several years ago. This project will begin with the students enjoying a day at Fort Langley. Students will choose a character or personality that they would like to represent . Students will have opportunity to create a costume (thrift store shopping) that fits their character. As a group, students will recreate the fort using popsicle sticks, and branches. Each character will build their own building, and in some cases 2 or more students may work on one building. The fort will come alive when the students fill their fort with dough characters they have made. Students use their resourcefulness to outfit their buildings and finish off the fort. The project ends with a family presentation day where students get to share their story with parents and guests. Parents may want to provide snacks (perhaps something representative of the early Fort Langley days) to celebrate the students’ accomplishments. The following requirements taken from HCOS Social Studies learning plan are covered in this project. 8. Interview someone about their life. (Students will be interviewing tour guides at Fort Langley on the field trip as well as doing other research) Are their answers the same or different? Explain why. Present your questions and answers in one of the following formats: written report. 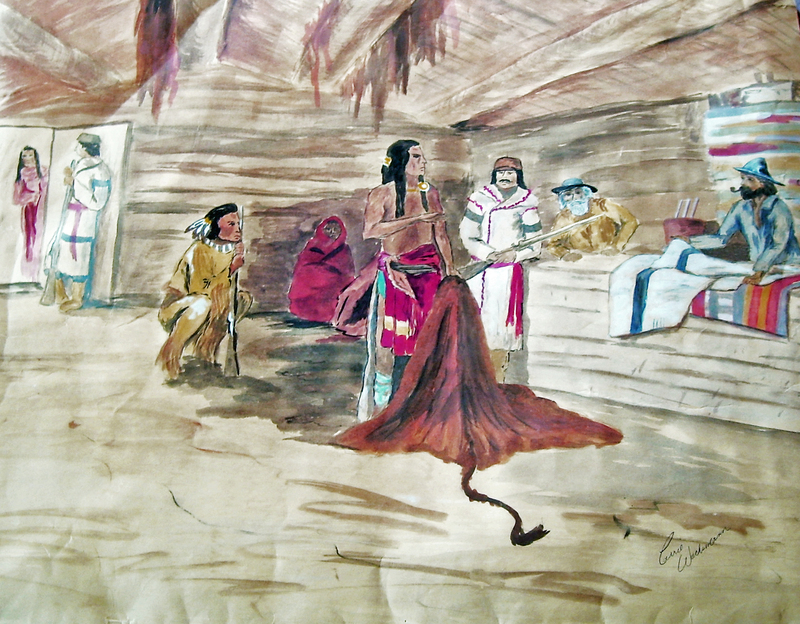 (Written in the form of a letter to family back home across the ocean – about their experiences as a settler to Fort Langley) (hand written rough work, then typed) electronic presentation, illustrations with captions, dramatic, roll play, song, time line, journal, diorama). 9. Find some primary sources (defined as: original document relating to a particular subject, experiment, time period, or event) (research their topic and character) for your own life or someone else’s life (birth certificate, pictures, journals, diaries, school work, art work, stories from parents, etc). Use them to make a secondary source (defined as: a document that interprets or analyzes primary sources and is usually written or produced some time after the initial event took place or work was produced). You could also put the primary sources together into a variety of other presentation forms listed in question number eight. 15. When creating any of the reports above or for another Social Studies assignment for project, create an outline before you begin. In the outline identify the following, topic/assignment/title, how you will introduce your topic, key points (with details for each point), how you will conclude your topic. Your outlines can be graphic, written, or done electronically. 19. Pretend you are an early settler coming to Canada from another country. Outline the trip and all the different types of transportation you use and why you needed that type of transportation. 26. How are waterways used in different parts of Canada for transportation? How has this changed over time? 46. Pick a job (character) that was around in 1827, and currently (e.g., teacher, grocery store owner, carpenter, farmer). How has technology changed how this job is done? 82. What did the Canadian constitution give Canadians in 1867 and 1982? Describe the significant events and people contributing to Confederation (e.g., fur trade, gold rush, railway, John A. Macdonald, Pierre Trudeau). “I love the concept of this course, and my daughter and I are both very pleased with the book she was able to make. We also really enjoyed Mrs. Wachsmann’s teaching style and inspiring creative talent…” R.F. “The course was excellent. Very well prepared… The cover idea was brilliant.” G.B. “I think it was the best class I have ever been to.” E.E. “It was excellent fun.” D.K. “It was a wonderful course! I’ve learned a lot in the past few weeks. 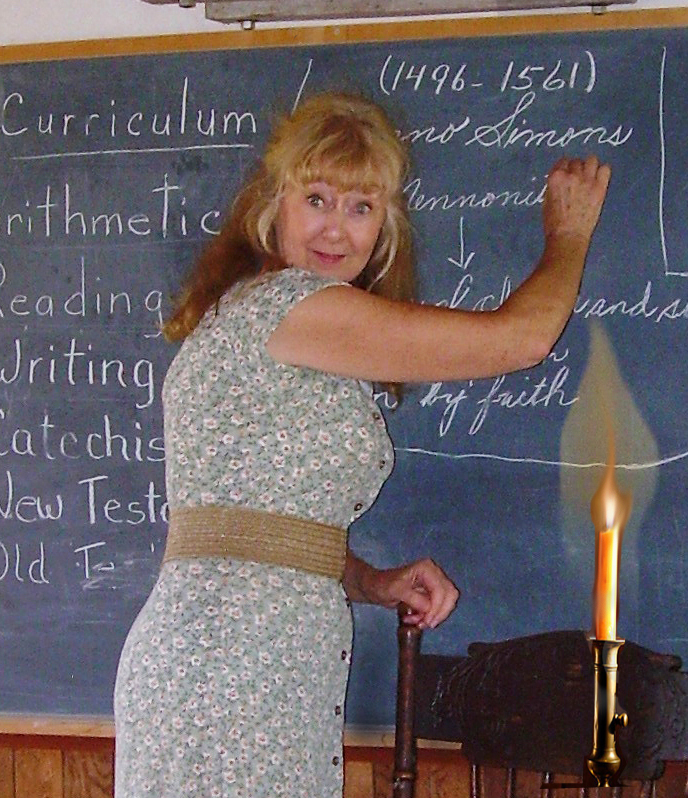 Mrs. Wachsmann is an excellent teacher.” J.K.
Carrie (Heide) Wachsmann has been writing stories since she was first able to hold a pencil. Her short, personal stories have since expanded and she is now a published author. Her first fiction book called “The Ryder” was published in 1991. Since then she has also written for a number of national and international magazines. Her on-line articles can be found at examiner.com and abbotsfordtoday.ca. Her personal blog nuggetsofgold.wordpress.com chronicles some of her current and past writing accomplishments. Carrie also paints, sketches and illustrates books. Some of her paintings can be found at carriewachsmann.myartchannel.com. In 2008 she was awarded the “Outstanding Emerging Artist” Arty Award, by the Abbotsford Arts Council. This was in recognition for her contributions to art in Abbotsford in writing, painting and videography. 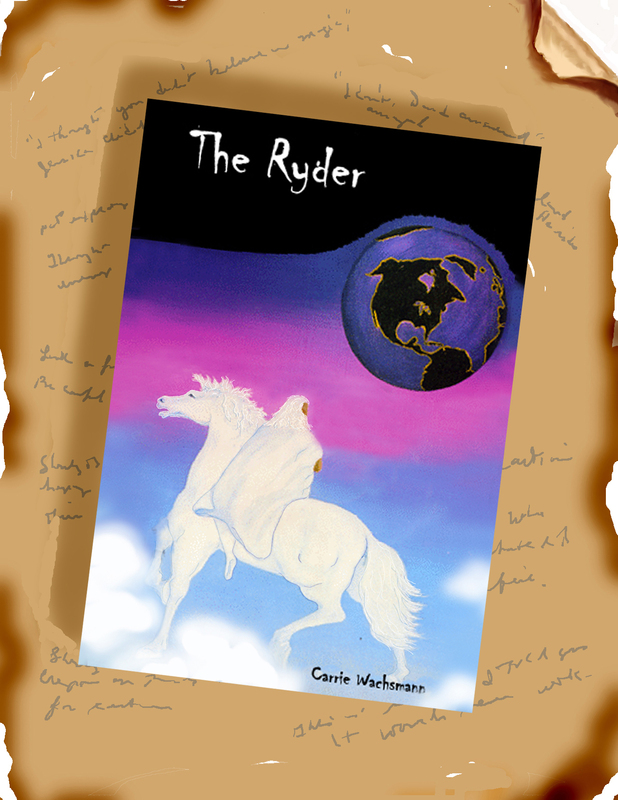 Carrie is currently completing her second and third novels of the trilogy that began with The Ryder. Her first fictional dramatization of a real life story is being edited by the publisher, and is expected to be released in early 2014. Not only is Carrie a skilled artist and writer, but she has also developed a series of instructional courses on writing, art, bookmaking and creative, multimedia story telling.